Was Born in south of Italy in 1980, Ivan dedicated is life in a music carrer since 1997. Sarah Main, Eddie Thoneick, Junior Jack & Kid Crème, THE CUBE GUYS, Pleasu​rkraft, Maurizio Gubellini, Thiese​n&Senz​a, DJ Fuzzy, DJ MISS FTV, OLGA PAGO, DJ MAGNIT, Alexey Romeo and many more. Over the next few years he developed his technical skills and music style and became a Dj to watch out for, producing and playing Deep, Techno and House with mixed media such as CD's, laptop and midi controller to create his own individual style from particular house sound, combined with tribal elements and vocal contri​bution​s, evolved during the years, becoming more and more intern​ational and original. In 2005 Ivan moved to Sharm El Sheikh and quickly became a regular fixture in the local music scene, as well as playing at fashion shows including the election of Miss Geometry 2007. 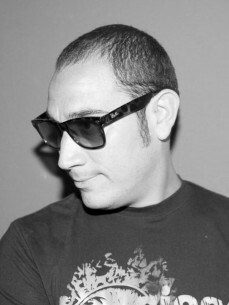 He as work as resident dj of Space sharm and Pacha Sharm TOP 100 CLUBS for few years.